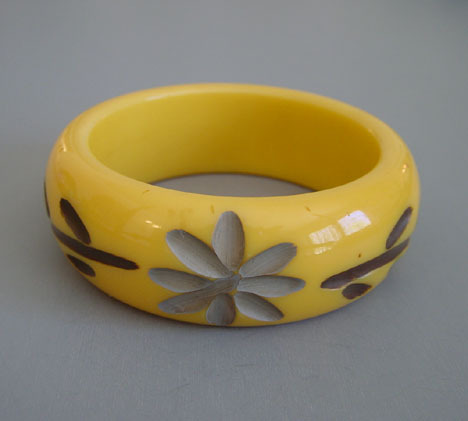 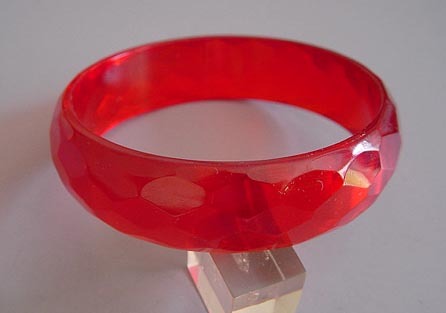 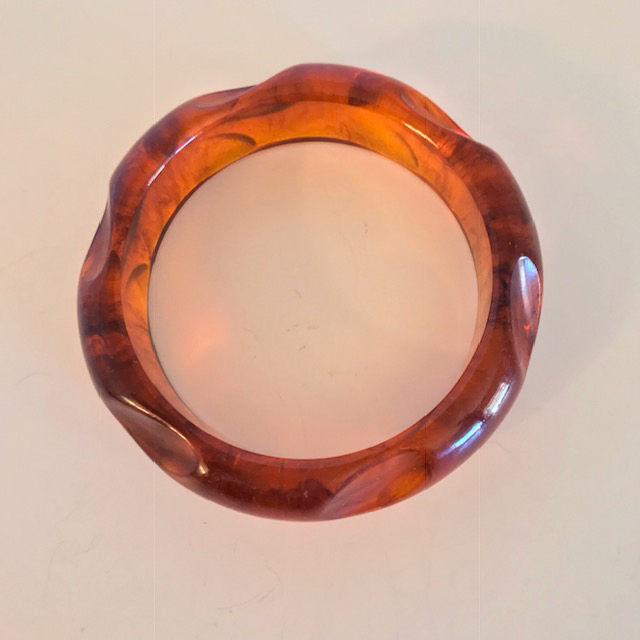 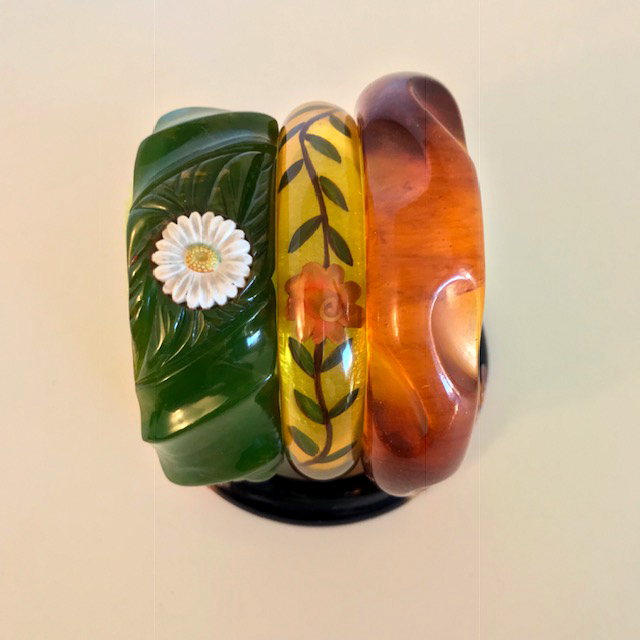 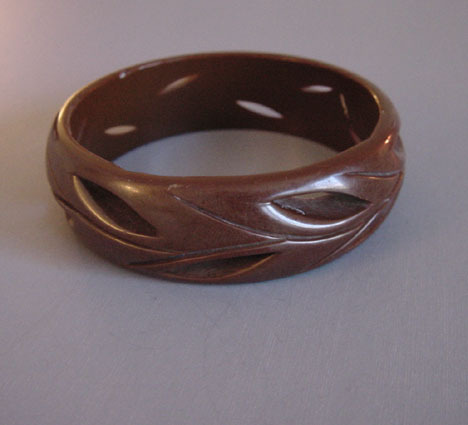 BAKELITE iced tea colored bangle with thumbprint carving, 2-1/2" by 3/4" with 1/4" walls. 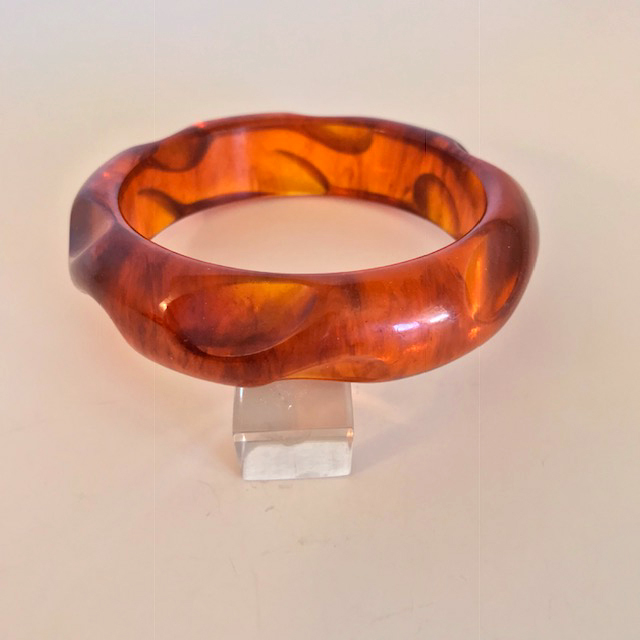 The soft tumbled carving casts such lovely shadows and this is a nice versatile bangle that combines well in lots of different stacks. 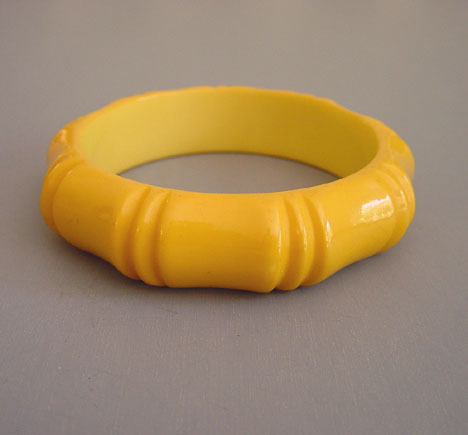 We do have two of these, if you would like a pair.